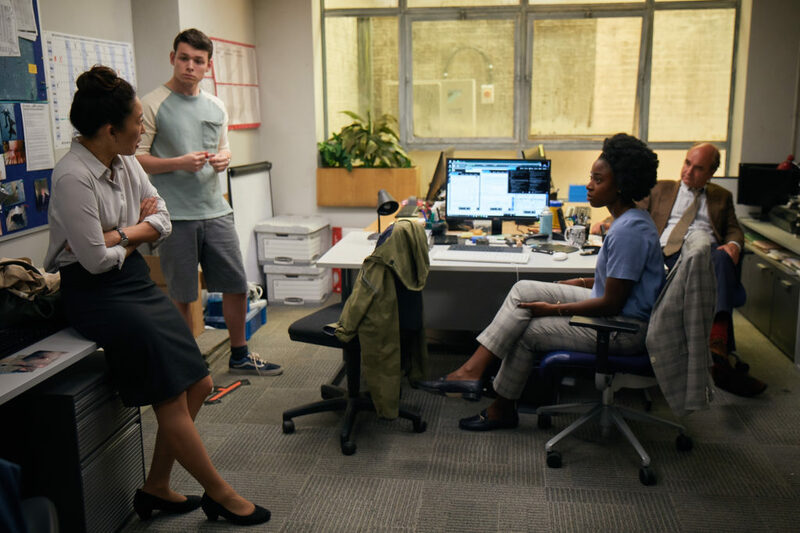 Careers – AMC Networks Inc.
For AMC Networks employees, having a hand in bringing stories to life is more than a job. We are storytellers at heart – it’s who we are and is at the core of what we do. We take pride in creating and presenting compelling stories people love, with fictional or real characters that capture the imagination and endure. We value diversity and inclusion because we know that people from different backgrounds with different points of view, working together, is essential to our continued success. Join us as we look to further our future as the place where the world’s best stories are told. We are happy to offer a variety of benefits for you and your family. With comprehensive medical, dental, and vision plans and competitive 401K savings plans with company match, admissions and application guidance for college-bound students, tuition reimbursement, health advocacy and pet insurance, we offer benefits that help you with the important things in life. Paid personal, sick and vacation time, and extended paid parental leave provide time and flexibility, without loss of compensation, for your most meaningful moments. We know that to tell the best stories our company must be diverse in every sense of the word. As a content company, we recognize that diversity and inclusion is vital to our success because it allows us to understand, reflect, and speak to the variety of audiences we reach every day, with insight and authenticity. We are proud to present a wide range of content from talented artists of varied backgrounds and we use our platforms to share our compelling, diverse stories with people around the world. We are committed to an inclusive workplace. For us to be truly successful, we not only need diversity in our programming, but in our hallways as well. Our Diversity & Inclusion Committee, comprised of employees at every level across our company, works to ensure that our employees are recognized, celebrated, and empowered. Through industry partnerships with organizations including the T. Howard Foundation, the Walter Kaitz Foundation, NAMIC, WICT, AMPAS’ “Academy Gold” diversity internship program, and Prep for Prep, a NYC-based organization that helps prepare diverse students for college and internship opportunities, we actively support our industry’s efforts to advance diversity and inclusion. Our dedication and support of diversity initiatives has been recognized with company and employee awards, including the 2018 T. Howard Corporate Leadership Award, and recognition from industry publications including Variety, The Hollywood Reporter, The Wrap, Cynopsis and Cablefax. We are honored to partner with our civic leadership at the Congressional Black Caucus on our award-winning Public Service Announcement campaign commemorating Black History Month. Each year, we create PSAs featuring legislators reflecting on figures who continue to advance the legacy of civil rights advocacy, and air them throughout February to educate and inspire support for diversity and inclusion. Through our year-round internship program, we partner with various universities and industry organizations to provide students with work experiences that prepare them for a lifelong career in our industry. Who should apply? Students (generally juniors and seniors) who are currently enrolled at an accredited college/university and legally eligible to work in the U.S.
How do I apply? Click here to view our open positions. Is it paid? Yes. Interns are paid a competitive salary. How long are internship opportunities? We offer part-time internship positions during the school year while our summer internship program is 10 weeks and runs from early June to mid-August. Standard work hours run from 9am - 5pm but can vary depending on department. What locations have openings available? The vast majority of our internships are located in our main office in New York and our office in Los Angeles. Opportunities in other locations may also be available.